I am super excited that I have finally finished the knitted part of my Brioche! 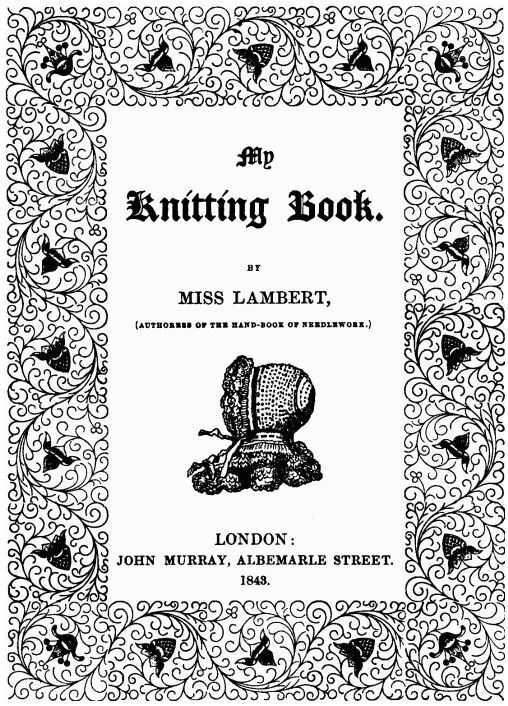 If you recall, several weeks ago now, I began working on a Brioche, the eleventh pattern in Miss Lambert’s My Knitting Book (1843, First Series, pp22-23). 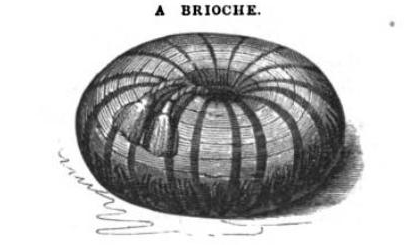 The Brioche is a type of cushion that was also known as a Moorish or Turkish cushion. 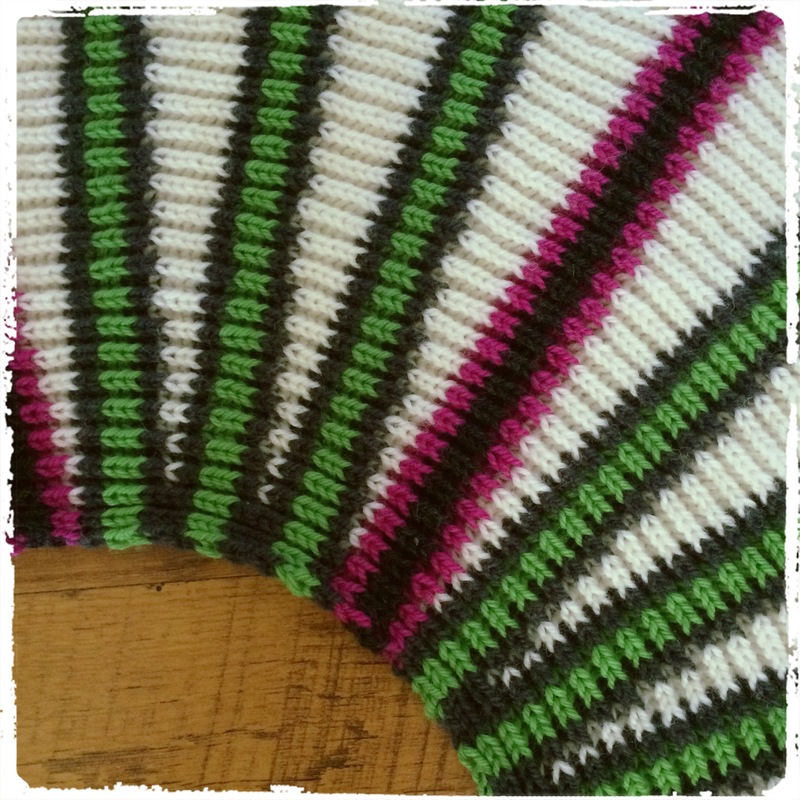 I have to say that I really enjoyed knitting this, using short rows to create the wedges was a lot of fun and I enjoy the effect. I don’t particularly love the way the colours work together but they were readily available in my stash and I do like them more than the black and gold recommended by Miss Lambert, so I can’t complain too much. This sounded straightforward enough at first but when I thought about it, several questions come to mind. What is millboard? What shape should it be? Is it a weight inside the cushion or the actual bottom of the cushion? 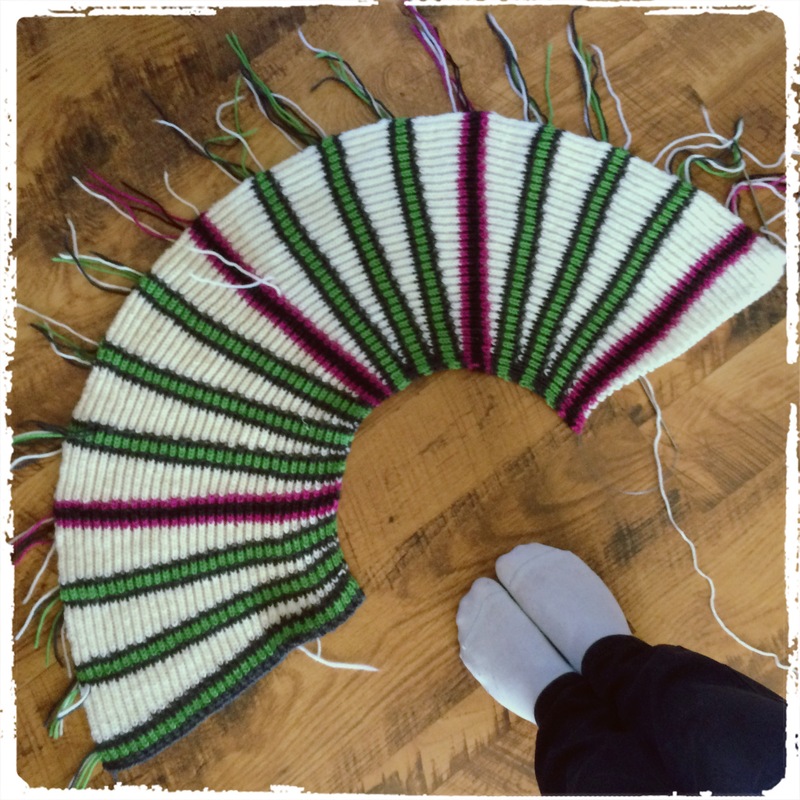 Should the knitting somehow be attached to it around the edges? When it is worked, knit up, or sew together the original cast on row and the last row of yellow. In making it up, take a piece of dark coloured skirt lining, the same length of the middle part of the work, I mean the whole circumference, then measure the depth, and cut it about two and a half inches less than it; this lining is quite a straight piece of cloth and should measure about one yard and twenty-four inches in length, and in depth twenty-four inches; join it up, then draw it up at top quite close, it is also drawn up at bottom, and sewed to a round piece of millboard, covered with the skirt-lining; the millboard is six and a half inches in diameter. This inner cushion is stuffed with fine wool, the work is put over it, and drawn up at the top in the same way as the inner lining, at the bottom, turn in a small piece of the work, as it will be rather longer than the inner lining, and sew it to the round piece at bottom; the cushion is finished with a handsome tassel and rosette; the tassel has a piece of cord attached to it, which is fasted quite in the centre of the top where the work is drawn up; this you fasten down with packthread, with a large needle, down through the top and through the millboard; this is to sink the top, then sew on the rosette, which should be about four and a half inches in diameter, and made as a bell pull rosette, in the same colours as the stool is composed of. A piece of leather cut in the shape of the millboard is sewn on the top of the millboard to cover it. (Lady’s Assistant in Knitting, Netting and Crochet Work, 1842). I had to reproduce these instructions in their entirety, as I love the language and the way that Mrs. Gaugain writes the instructions like she is sitting next to you telling you the steps. That being said, this seems like a large amount of effort for this cushion (in my opinion) so I will follow Miss Lambert’s directions and reference Mrs. Gaugain when needed. As for millboard, when I did a search on Google, the first reference that came up identifies millboard an asbestos-containing material! So, I definitely will not use it in my project. I am sure I can find a suitable substitute somewhere. Next > MKB Project 11: A Completed Brioche! Looking forward to seeing the finished project! I am so impressed that you are working on a pattern from a book that is over 100 years old. It is a lot of fun!!! Thanks it is a great challenge!